Almost time, the girls share a last minute joke together before setting off for the Wedding ceremony. 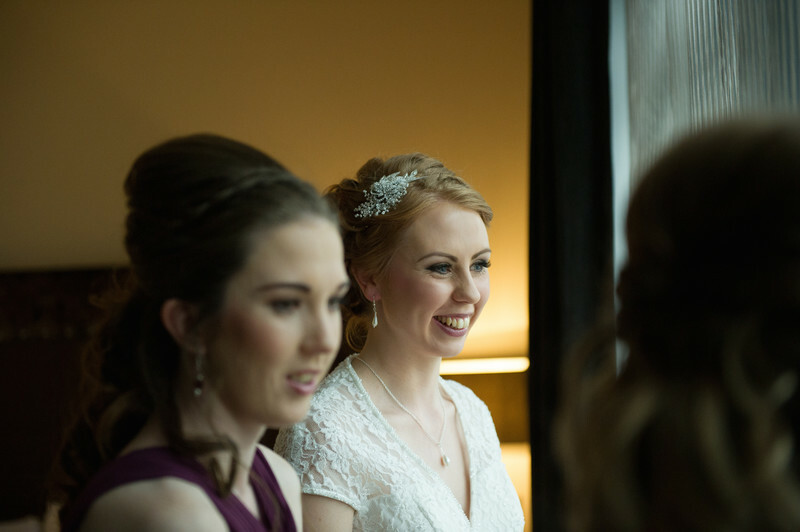 I really like this image from this wedding at the Peak Edge Hotel, Derbyshire. We were fortunate to have such an easygoing and happy couple who are so obviously in love with each other that the chemistry between them just lifts everyone and helps the day sail along.